The Stikeman Chair has participated in a number of events that were videotaped, and are now available on the Chair's youtube channel. Below are some key talks given by Professor Allison Christians on taxation and rights. 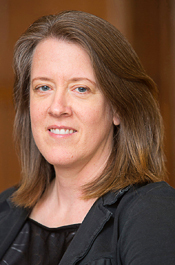 Allison Christians is Associate Dean (Research) and the H. Heward Stikeman Chair in the Law of Taxation at the McGill University Faculty of Law. Her research and teaching focus on national and international tax law and policy issues, with emphasis on the relationship between taxation and economic development and on the role of government and non-government institutions and actors in the creation of tax policy norms. Before entering academia, she practiced tax law at Wachtell, Lipton, Rosen & Katz in New York, where she focused on the taxation of domestic and cross-border mergers and acquisitions, spin-offs, restructurings and associated issues and transactions involving private and public companies, and at Debevoise & Plimpton in New York, where she focused mainly on private equity funds. She taught at the University of Wisconsin Law School and Northwestern University School of Law before joining the Faculty of Law at McGill University in 2012. She has written numerous scholarly articles, essays, and book chapters, as well as editorials, columns, and articles in professional journals, addressing national and international tax law and policy issues. Recent research focuses on the alignment of taxation with the sustainable development goals; evolving international norms of tax cooperation and competition; tax aspects of new technologies; and evolving conceptions of rights in taxation. Taxing Income Where Value is Created, 22 Fla. Tax Rev. 1 (2019), with Laurens Van Apeldoorn. The OECD Inclusive Framework, 72:4 Bulletin for Int’l Tax. 226 (2018), with Laurens van Apeldoorn. Tax Justice as Social License: the Fair Tax Mark, in Business, Civil Society and the New Politics of Corporate Tax Justice: Paying a Fair Share?, Eccleston & Elgra, eds, Edward Elgar 2018). Canada Report, in Improving Tax Compliance in a Globalized World (Evans et al, eds., IBFD 2018), with Vokhid Urinov. The Constitutional Framework of Environmental Taxation in Canada, in Rodolfo Boix, ed., Aspectos constitucionales de la tributación ambiental/ Constitutional Aspects of Environmental Taxation 219-260 (Universidad Nacional de Córdoba 2018), with Olivier Jarda and Stephanie Hewson. Taxing Transnationals: Canada and the World, in Reflections on Canada’s Past, Present and Future in International Law/ Réflexions sur le passé, le présent et l’avenir du Canada en matière de droit international (CIGI 2018). Distinguishing Tax Avoidance and Evasion, in The Routledge Companion to Tax Avoidance Research, Nigar Hashimzade and Yuliya Epifantseva, eds. (Routledge 2018). Professor Christians is the author of ‘The Big Picture,’ a column for Tax Analysts’ Tax Notes International and regularly comments on developments in international tax law and policy on the Tax, Society & Culture blog and on Twitter @taxpolblog. Her Introduction to Tax Policy Theory, written primarily for tax policy students, provides an open-source primer on the theoretical and practical goals of taxation. In May 2014, she was awarded the John Durnford Prize in Teaching Excellence by the Law Student Association of McGill University, and in Fall 2018, she was awarded the Principal’s Prize for Excellence in Teaching (Full Professor Category). She was named among the International Tax Review’s "Global Tax 50" in both 2015 and 2016 for her influence and impact on taxation, and in 2018 was identified by Economia as one of the top 50 most influential sources of finance news and information in social media. Domestic and international tax law and policy, socio-economic rights, sustainable development, tax law and technology, international law and institutions. ..."focuses on how national tax sovereignty has been impacted by recent developments in international taxation, notably following the OECD/G-20 Base Erosion and Profit Shifting (BEPS) Project. The power of a country to freely design its tax system is generally understood to be an integral feature of sovereignty. However, as an inevitable result of globalization and income mobility, one country’s exercise of tax sovereignty often overlaps, interferes with or even impedes that of another."